Imagined in 2015 by Alexandre Faucher (is&a bloom digital agency, Microsoft) and Philippe Tourrette (Ioltech, Tourrette Investissements), Genius Objects is an Internet Of Things and e-textile French startup which provides brands, manufacturers and leather goods makers with turnkey solutions to create new customer experiences and connect their products. Genius objects is the worlds premier manufacturer of connected textile fasteners. Four patents have been filed to attest to the innovations in our unique technology. These innovations open up new possibilities for textile professionals who wish to use connected objects and require the expertise and know-how of an e-textile specialist. Technology is opening up new perspectives for the textile industry. We provide the sector’s key players with the necessary expertise to develop their connected products. Our expertise is based on innovative connectors, sophisticated mastery of the Bluetooth® stack, expert knowledge of mobile-app development and a user-centric approach. 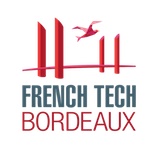 Created in 2016 in Bordeaux, Genius Objects achieved Jeune Entreprise Innovante French status as soon as 2017 and is supported by BPI France. The direct result of the encounter of two experienced entrepreneurs the young seed combines digital experience with the industrial world know-how. Currently a team of nine is committed to the daily development new e-textile solutions and inventing new uses and objects.